1Kg Smiley Face with good quality. Send this cake to your loved ones and make them happy.Looking for a special cake for your little one? Try our Smiley Face cake. 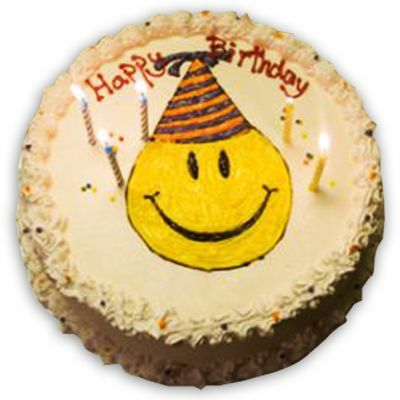 This cake weighs 1kg and is a favorite among children because of the adorable smiley face decoration on the cake. Our Smiley Face Cake is made with the finest ingredients and the cheerful smiley face is sure to bring a broad smile on the face of your little angel. You also get to choose the flavor of the cake; Vanilla, Pineapple, Strawberry, Chocolate, Black Forest, Almond and General are the seven options available. Send cake online to make your child’s day special or order a home delivery service or a midnight delivery service to surprise him/ her.